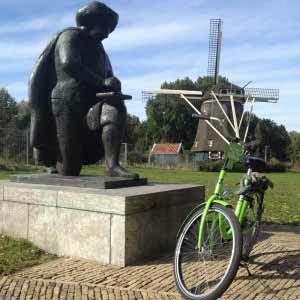 Green Budget Bikes is the best way to explore Amsterdam. We have a large selection of bikes so you can find the best bike for you. We offer guided tours through the city and countryside. See Amsterdam from a different perspective with our experienced tour guides. Wanna be a true Dutchman or woman? Surprise your family and friends with a picture taken in a traditional Dutch setting! 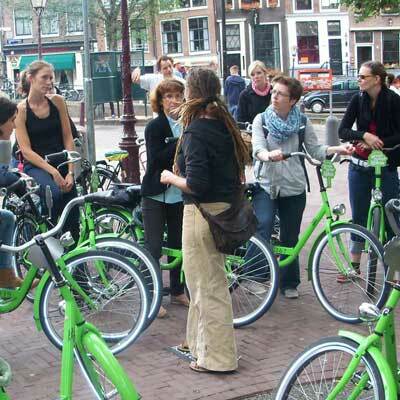 Welcome to Amsterdam, the city with more bicycles than people! 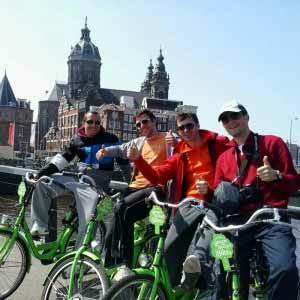 With our bike tours, you can be escorted around Amsterdam by one of our incredibly knowledgeable guides, and learn a little more about the city, its history and some places of interest. See all the sights from your bike! You can book our tours in five different languages. All tours are guided by native speakers. Why not have a picture taken in a traditional Dutch setting? Surprise your family and friends when you return home with a unique picture of you posing in traditional Dutch costume. A perfect souvenir, without having to leave Amsterdam!